Following the demise of M. A. Bakeer Markar, his son Imthiaz Bakeer Markar founded the Bakeer Markar Centre for National Unity with the support of the close associates of M. A. Bakeer Markar. The Centre was established 1997 and aims to promote, encourage, assist and foster activities for the advancement of National Unity, Inter Communal amity, racial and religious harmony and peace amongst people, the vision of late M. A. Bakeer Markar. 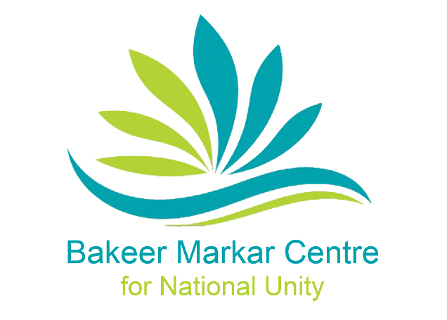 Bakeer Markar Centre for National Unity is an independent and non-profit organisation that attempts to promote the legacy of the late M. A. Bakeer Markar through continuous efforts to realise the true sense of national unity in Sri Lanka through various initiatives.